Quebec- The last three trips to Quebec for the McGill cross country squads have featured heat/humidity, snow, and torrential rain. Mother nature decided to give the teams a break for this year's Provincial Championships. Sunshine with slightly windy conditions greeted the runners on a nice fall day as teams prepared to navigate their way around a the difficult Plains of Abraham terrain. 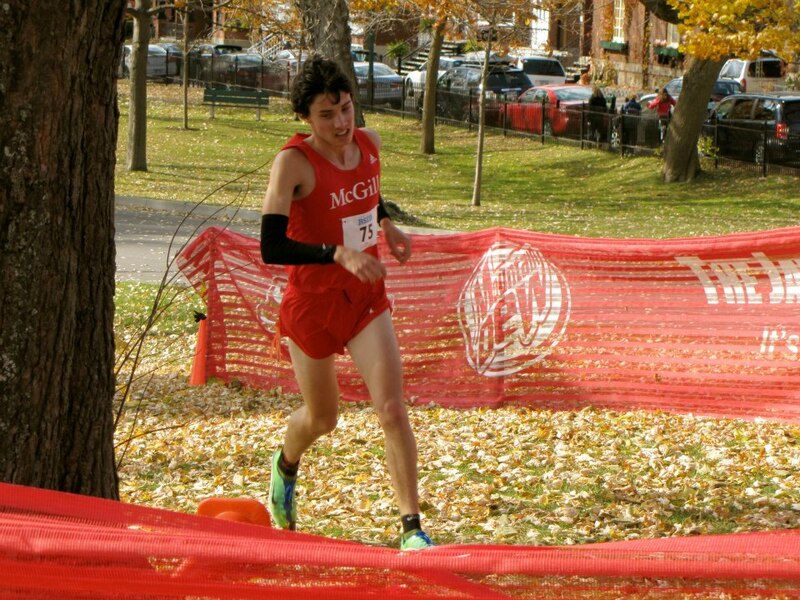 The men's 10,000m race was off first with the McGill Redmen hoping to nail down a top 2 finish and a trip to the CIS championships. Standing between them an the Redmen's London aspirations was a solid squad from the Vert et Or of Sherbrooke, who figured to put a strong challenge. Running his first ever 10k, McGill rookie Ben Raymond took his usual place amongst the lead pack with Charles Philbert-Thiboutot & Emmanuel Boisvert of Laval and Ryan Noel-Hodge of Concordia. With a 1k to go, Philbert-Thiboutot and Noel-Hodge battled for the lead with slight gap back to Raymond. Nearing a quarter mile to go, Raymond surged to the lead with a strong final effort. Philbert-Thiboutot was able to respond to the surprising move from the Redman rookie and the sprint for the line was on. The 1500m man from Laval was able to collect himself and dash past Raymond over the final straight to take the title. Raymond held on for the runner-up spot followed by Noel-Hodge as they rounded out the podium spots. Behind Raymond, his fellow Redmen rallied over the final 5000 meters. Fellow rookies Charles Litwin and Vincent Parent-Pichette came across the line 16th and 18th place. While second year runners, Michael Abramson and Alex Ray rounded out the Redmen scorers with the 20th and 22nd spots. Other McGill Finishers included Reda Sarhani (32nd), Laurent Gervais Robert (35th), Erik Demers (38th), and Scott Harvey (49th). In the team battle, Laval took the win but McGill got the better of Sherbrooke by the a single point (71-72). After an almost 24 hour wait for the official result, the Redmen have confirmation that they will be making the trip to London and compete at the CIS National meet. 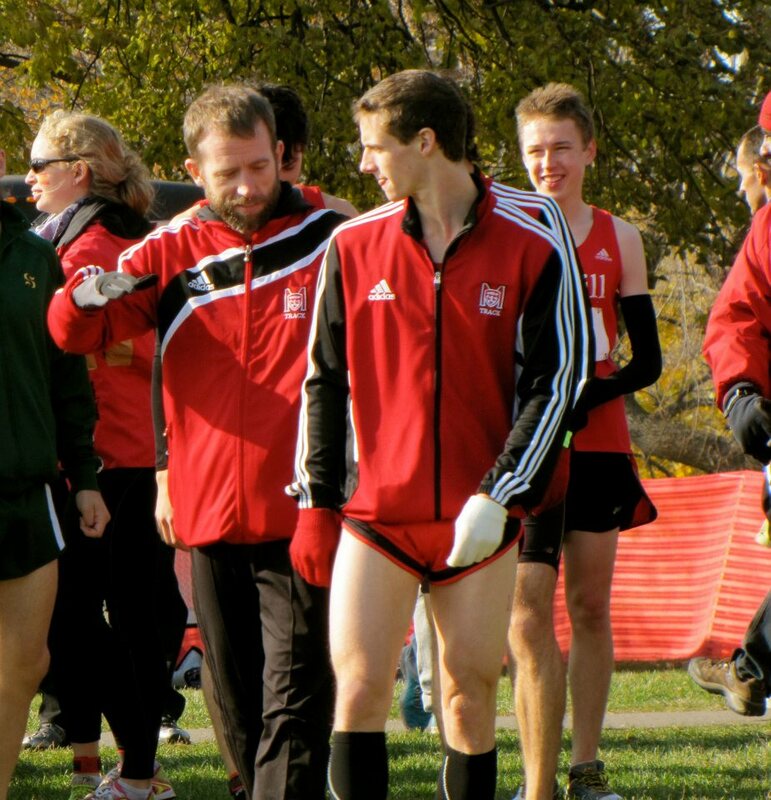 While the McGill men had to wait almost a full day to find out their CIS fate, the Martlets knew going into the race that it would take a huge surprise to keep them from CIS. After placing 5th at last year's national meet, the women's squad was ready for Saturday's provincial championship race and looking forward to CIS in a couple of weeks time. In Saturday's 5k provincial championship race, the Martlets displayed the same top form they've shown all season. Second year standout Jessica Porfilio took home the individual university title, leading a 1-2-3 podium sweep with Sarah McCuaig and Madeleine Cummings. The Marlets came through with a dominating performance placing 7 runners in the top 10: Evelyn Anderson (6th) and Julienn Flynn (7th), Chantal Bourassa (9th), Madeliene Williams (10th). 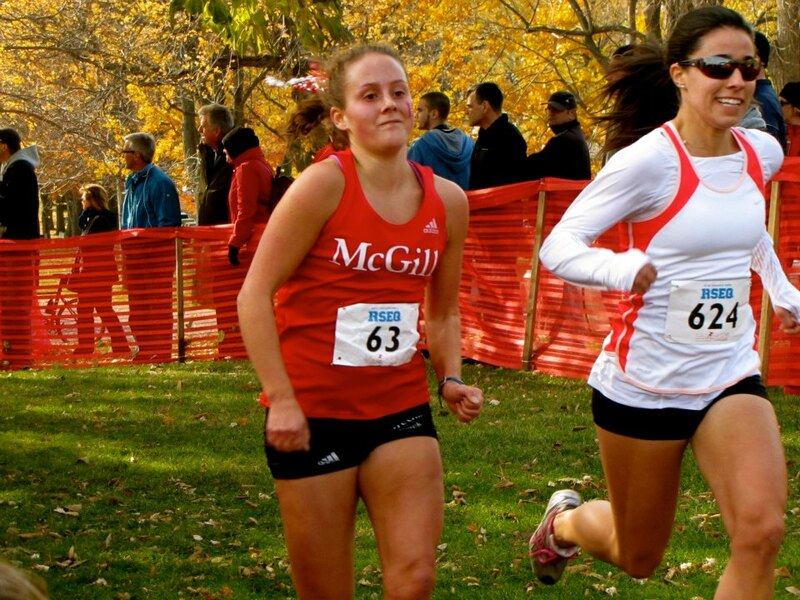 The Martlets scored an impressive total of 19 points to take home another provincial cross country championships. Also helping out the cause were: Carline Pfister (12th), Ali Barwick (20th), Debra Kelsall (24th) and Taylor Martin (48th). 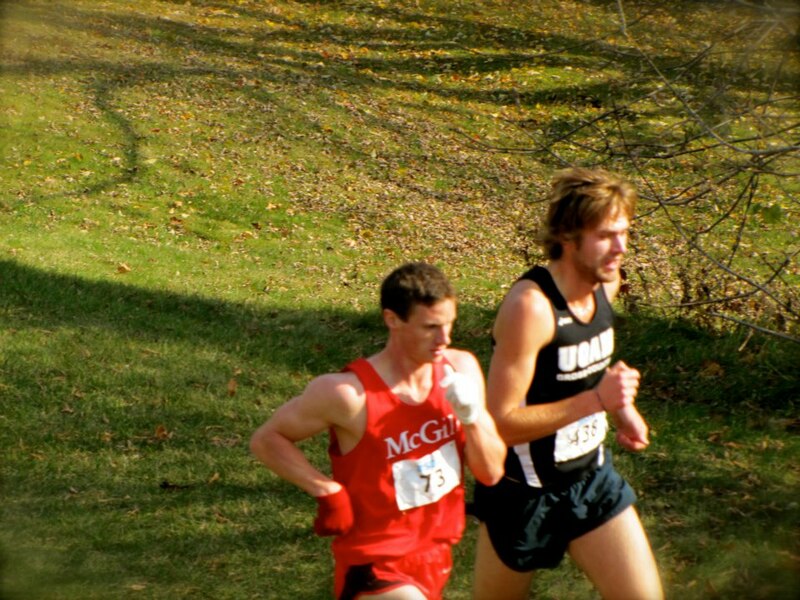 Next up is the final meet of the year, the CIS Cross Country Championships November 10th in London, Ontario.